ICRE has gone mobile! The conference’s mobile app is now available on Apple, Blackberry and Android devices. Get quick access to the conference program, read every conference abstract, complete session evaluations and more. Click here to download the ICRE app at the Apple store. Click here to download the ICRE app at the BlackBerry App World. Click here to download the ICRE app at the Google marketplace. Don’t have a smartphone? Don’t worry. You can download the complete program in PDF. Thank you for making the ICRE App available. 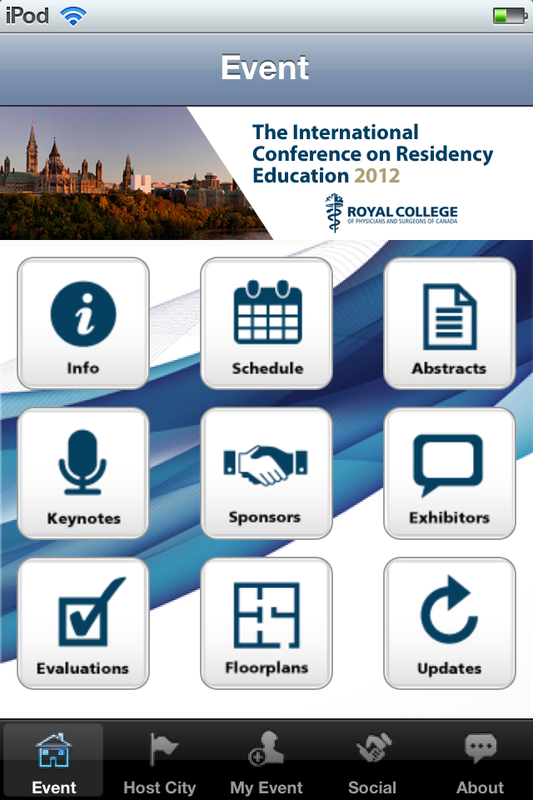 It is so convenient & extremely helpful to have All the important ICRE program available in the palm of one’s hand! Thanks to the visionary & Techy Suave leaders of the progressive thinking Royal College of Canada. I am proud to be a Fellow of RCPSC.